In a Power of Attorney, you (the Principal) name an Agent who will act for you if you are unable to act for yourself. Sounds simple enough, but what does that really mean? Simply put, any place where you would sign your own name and make your own decisions, your Agent would step in your shoes and become “you” for those purposes. For example, if you become incapacitated and cannot write your own checks, your Agent may step in and write the checks on your behalf. A Power of Attorney actually has nothing to do with anyone who is an attorney. Well, ideally the document should be drafted by an attorney, but other than that, no actual attorney is named in the document. The Principal (you) determines how long the power will last. Typically, the power will last during the Principal’s entire lifetime, unless, of course, the power is revoked. It is important to note, however, that a Power of Attorney ceases to have any effect at the Principal’s death. A Power of Attorney can be effective immediately or it can be effective upon incapacity. If it is effective immediately, as soon as the Power of Attorney is signed, your Agent has the power to be “you” and sign your name on your behalf. If effective upon incapacity, the document has no effect until a doctor declares you incompetent. This is a very powerful document, so before you make it effective immediately, you want to really ensure you are selecting the correct Agent and you have a good reason for its immediate effectiveness. The scope of a Power of Attorney is also controlled by the Principal. The Power can be broad or very specific. If you know you will be unavailable to act for yourself, you can name a person to act for you in only that situation. For example, if you will be out of the country during the closing on your house, you can appoint someone to sign the house documents as “you”. In that situation, your Agent’s powers will only apply to the closing on that one and only house. If the Power is broad, your Agent has a lot of power in many situations. By this time you may be wondering why you should even care about this type of document. Well, if you become incapacitated and no one has been named to act on your behalf, a Conservator would have to be appointed to act for you. This appointment of a Conservator would have to be done by the probate court and would take considerable time and money. If, however, you have this simple yet powerful document, your Agent could act for you with merely a copy of the document. 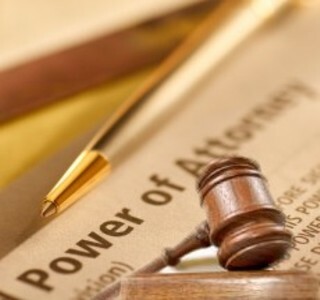 Because of the tremendous power this document possesses, it is advisable to talk to an attorney before naming an Agent and drafting a Power of Attorney.